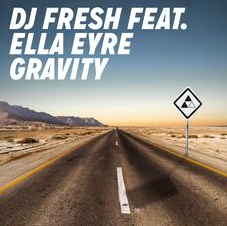 Adding to his accolade of smash singles, DJ Fresh teams up with MOBO and Brit Award winner Ella Eyre to kick-start 2015 with their piano-led, high-energy collaborative track ‘Gravity’. The track will ereleased on 8 February 2015, via Ministry of Sound Recordings. Premiered as Zane Lowe's hottest record in the world, followed by support across BBC Radio 1, Capital FM, Capital Xtra and Kiss, 'Gravity' is another biggie for Fresh. Check it out below.